I remember the terror I felt as a kid walking into school and realizing that it was St. Patrick's Day and I wasn't wearing any green! That only happened a couple of times, but it was enough to make me learn my lesson. 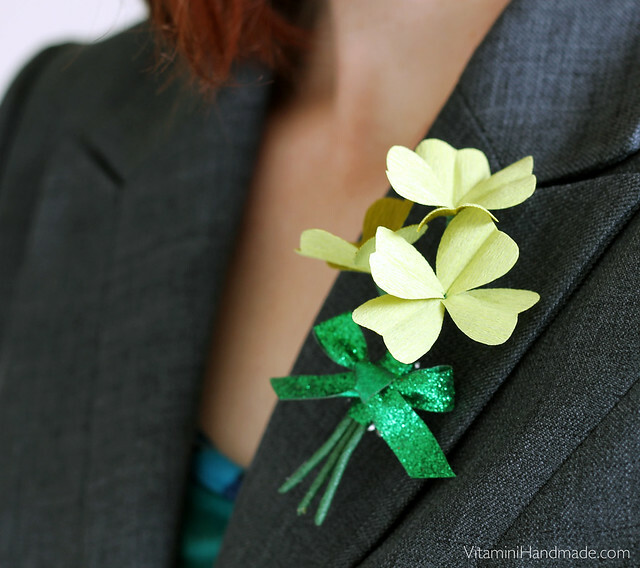 As an adult, I plan on being prepared for every March 17th so I made these paper four-leaf clover corsages for extra anti-pinch insurance. 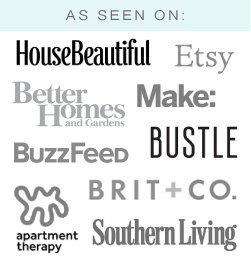 And you can make your own! 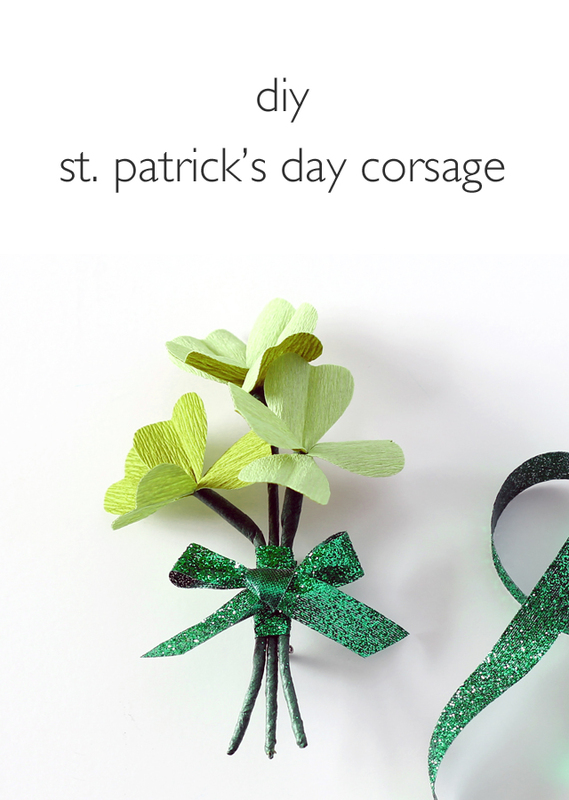 Double-sided or florist crepe paper in green. Cut a 1 3/4" x 3 1/2" rectangle of the crepe with the grain running the short way. 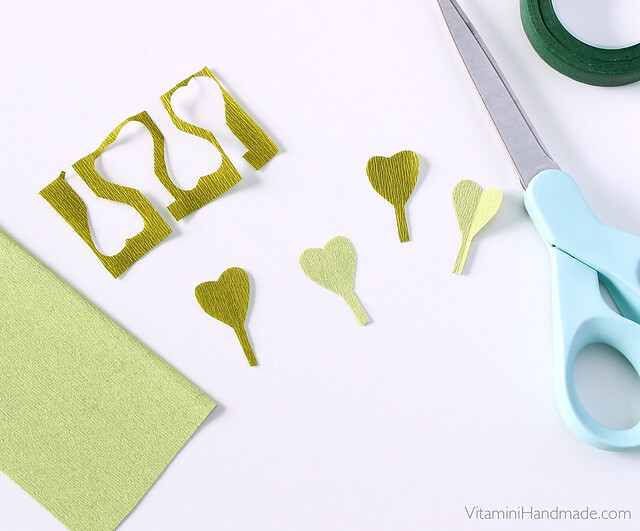 Cut out four heart-shaped leaves with a long stem from the rectangle. My finished leaves are about 1 1/2" tall by 3/4" wide. Fold and crease each leaf in half. 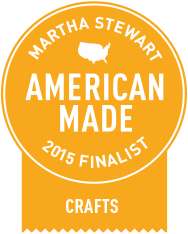 Cut a 4" length of floral tape. 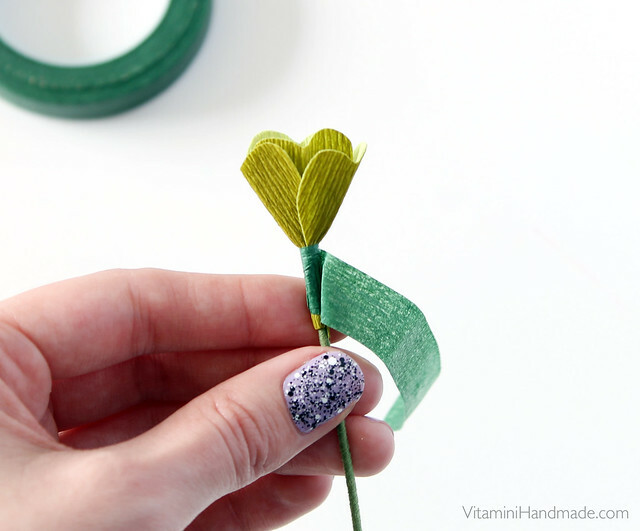 Start with one leaf, wrap it around the wire with the tape, pulling the tape taut. Continue adding the 3 other leaves. The easiest method I found for this was to wrap one leaf, then wrap it's opposite leaf, then proceed with the other two. 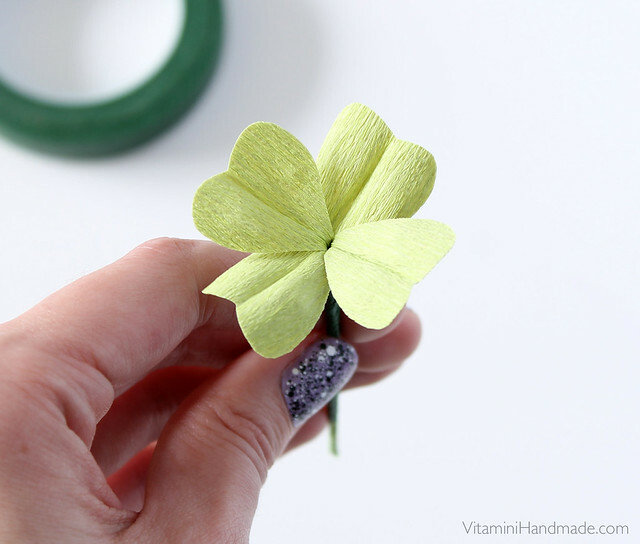 Open up the leaves and refine the shape of the clover. 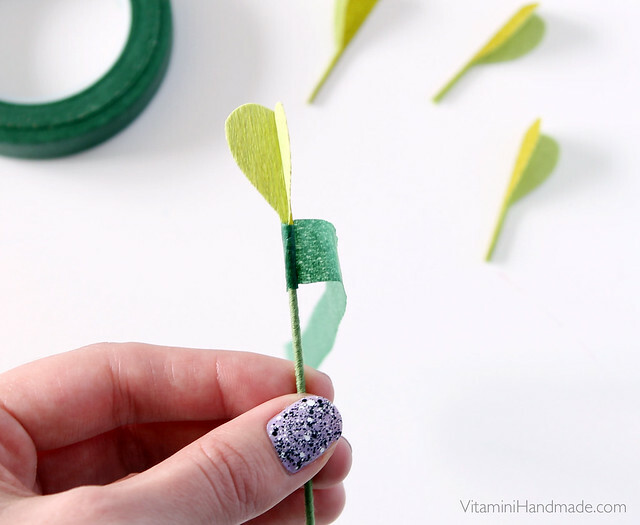 Stretch the centers of the leaves with your fingertips, to achieve a slight dome on each side of the center fold. Done! Make two more! Gather the three clovers in an arrangement that you like. I mixed the colors and heights of mine. 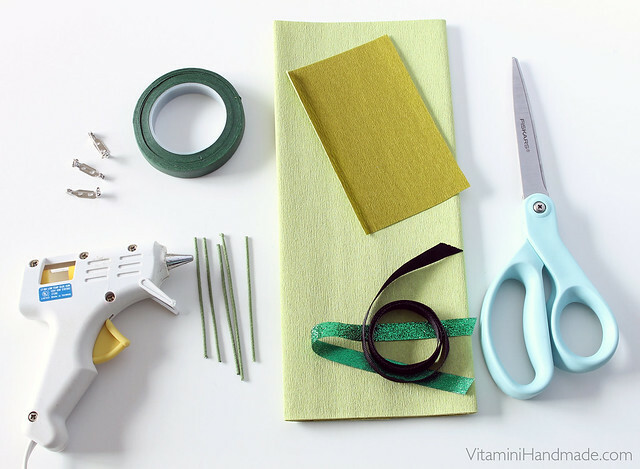 Add a dot of hot glue to the back of the bunch and wrap with the ribbon a few times until secure. Finish the ribbon end with another dot of glue in the back. 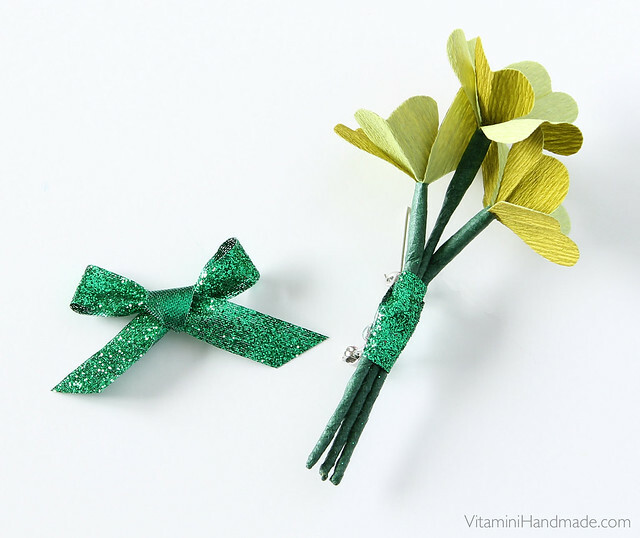 I used this awesome green glitter ribbon, but if you want something a little less fabulous, go with black or a solid green. Glue on the bar pin. Tie a bow with the ribbon and glue to the front. Bend the tops of the clovers forward and bend the bottom of the stems outward. 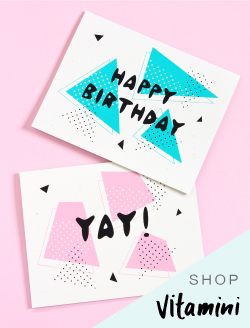 Pin it on and strut your lucky stuff! 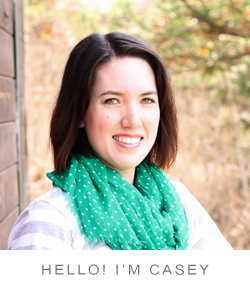 St. Paddy's is on a Monday this year, so make a few extras for your friends at the office. Your choice if you want to trade them for donuts, but that's what I would do.